This world has made a format a very very long time ago & made us believe in it. That creative people can’t be good at logic & if you are logically strong then you mustn’t have a creative bone in your body. And you may have been following it quite religiously to define people who are good at either till you meet one of us. You have been calling a creative person an artist & a business guy a suit for some time now. You have been honouring their abilities to create something that looks good to your eyes and their abilities to think solution wearing suits without a flinch. But we feel thats where the challenge lies. Thats the inertia. It’s not so much us but a lot more how the world, you, fail to identify with anybody who is good at both. Yes by that logic, we are some what different. You are right! We are actually ahead of many others you would meet in terms of our abilities to think. And that’s only because we are practicing thinking. We are going to the depth of every thing, every small change, every platform & the changes it can bring than looking at it just as an opportunity to spend money. In today’s day and age it’s a unique talent to not fall in the race & walk next to it keeping your head phones on. And that habit, makes us different from what we call “everybody”. So yes, we are not like everybody. When you start thinking you actually start seeing a very different side of things and thats when honest solutions emerge. We look at problems as opportunities & with the thinking cap on, every opportunity presents us with a solution. & we can do it effortlessly day in day out because we observe keenly. Very very keenly. We find patterns in what “everybody” is doing & find the art in the actions. We paint that art in the canvas of advertising while wearing our suits of mapping consumer actions into actionable insights. & that habit makes us different than you expected us to be. & that’s where become the outliers. 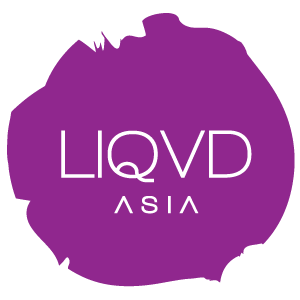 We are LIQVD ASIA. here we are all artists in suits.